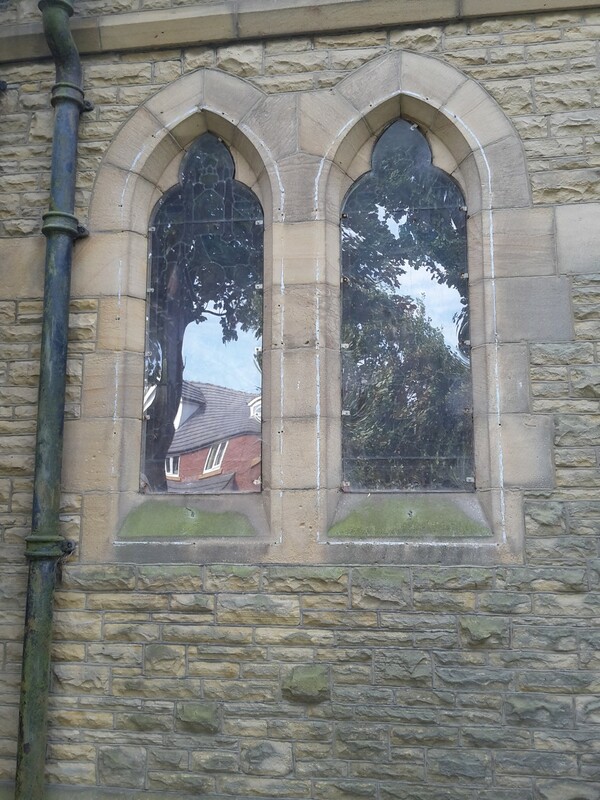 Around 5 years ago, All Hallows Church in Bispham had each of it’s many windows, including a number of beautiful examples of Victorian stained glass by renowned makers Shrigley and Hunt, protected with external polycarbonate. Unfortunately the work carried out was of an extremly poor standard both in terms of it’s installation and the quality of the materials and fixings used. As a result, Lightworks have been brought in to carry out a rolling programme of replacement. 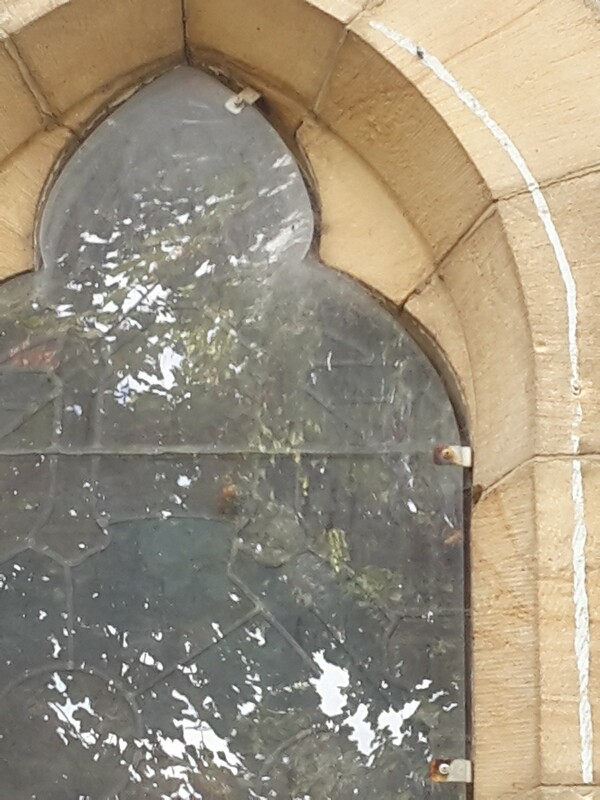 In an ideal world the need for such protection would not be necessary at all, but the fact is, much of the historic glass contained within churches is subject to intentional damage. With repair & restoration costs often running into the thousands, protection of this type is often the only option in combating this. Secondary benefits are protection of glass from the direct elemental effects of prevailing weather and also accidental damage which can often be caused by mowers and strimmers throwing up stones and debris. While it’s application can be considered divisive, where it is deemed to be necessary and approved, there are a number of industry standards which should always be adhered to in order provide the best possible result and appearance. Unfortunately, non of these standards had been upheald in the original installation. 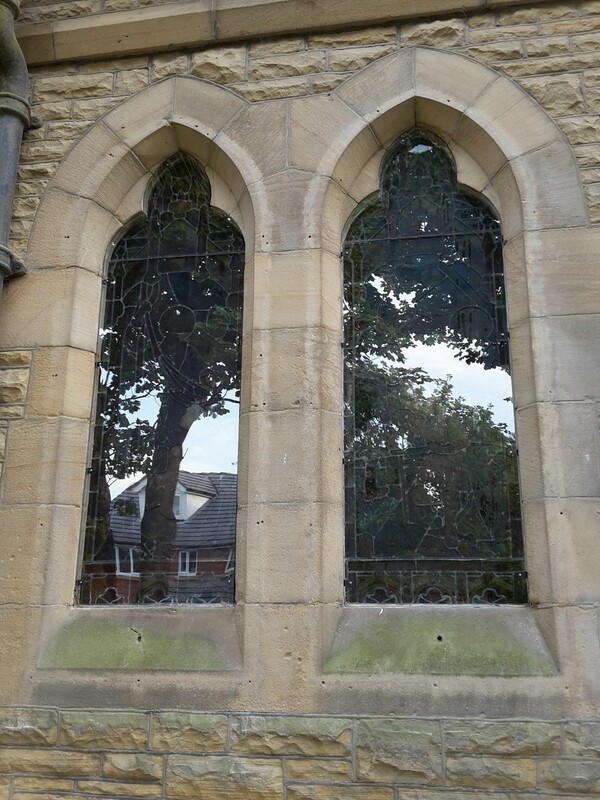 In carrying out the replacement, our scope of works includes: drilling out and removing the existing sheeting and mounting brackets, drilling, fixing and lining up new stainless steel mounting brackets, producing detailed window head templates for each lancet, cleaning of the stained glass, painting and taping of the fixing brackets (minimising their visual appearance). Prior to the final process of cutting and mounting the new polycarbonate sheet, we also carefully remove any residual mastics/putty from the stone left over from a previous secondary glazing installation. 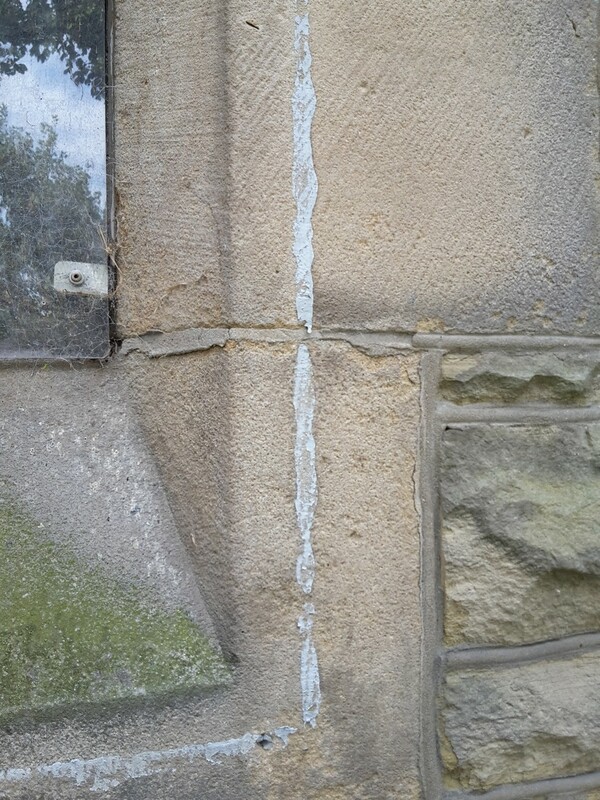 The images show one of the nave windows post and pre-replacement and also a number of detailed shots picking up on the specific faults of the original installation. 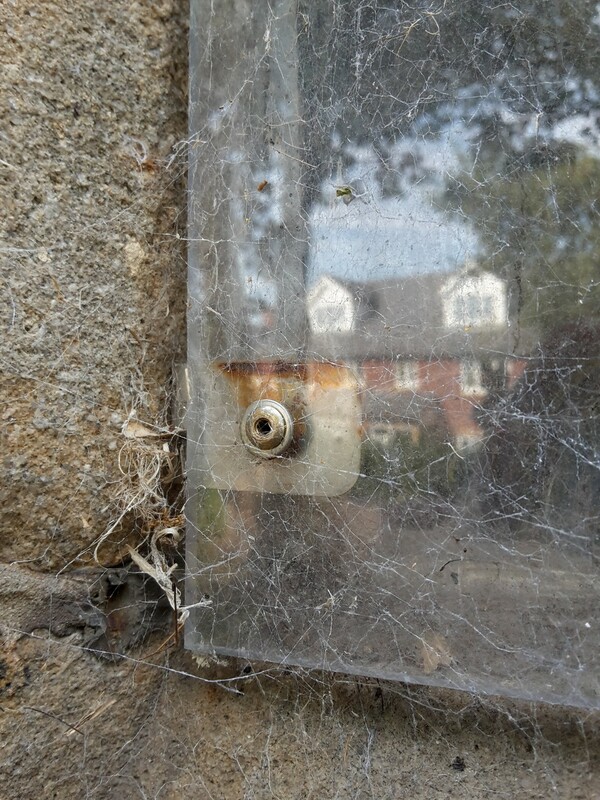 These include: badly templated and cut polycarbonate leaving gaps far in eccess of the standard 5mm, use of ferrous mounting brackets which have begun to rust (they had also been left unpainted and therefore highly visible), incorrect fixing of brackets causing the polycarbonate to sit outside the stone reveal and visually distort and mastic/putty from a previous secondary glazing application which had not been cleaned from the stone. Having now completed Phase 1 with replacement carried out on each of the nave windows, Phase 2 is scheduled to begin in October. Lightworks specify “Macrolon” polycarbonate as standard. The product is UV resistant on both sides, comes with a 10 year guarantee, is virtually un-breakable and has unmatched optical clarity.